Star system project backed by Hawking Jump to media player A project to send tiny spacecraft to another star system within a generation has been backed by Stephen Hawking. Aftermath of deadly Sri Lanka explosions Jump to media player Almost 300 people have been killed and hundreds injured after several bomb blasts in the capital Colombo. A project to send tiny spacecraft to another star system within a generation has been backed by Professor Stephen Hawking. 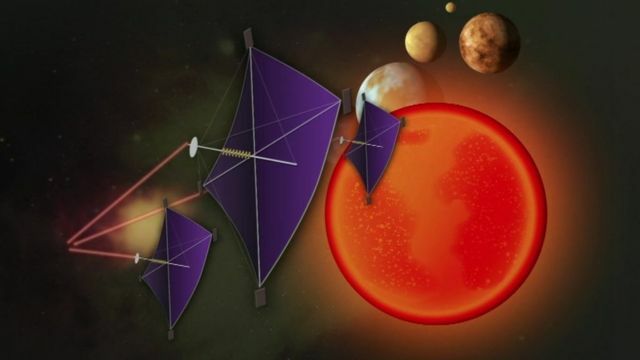 The concept is to reduce the size of the spacecraft to about the size of a chip used in electronic devices and propel them from earth using solar sails and a giant laser.